OMFG! IT'S SO FREAGIN BRIGHT! WHAT THE HELL?! MY EYES ARE TEARING!
" Simple wallpaper in terms of composition. The original scan itself was gorgeous so there was no need to take away from it. The only thing that made this wallpaper take a few hours was the fact that the scan's original quality was horrendous. Basic cleaning could not save this scan, so I attempted to smudge it, failed, then added my classic way of hiding my failures... A massive amount of texturing. ^^; "
Don't ask me about the text. I had to stick the title somewhere and obstructing traffic grew on me. Nice, nice ! I saw some wallies made from that pic, but this is one of the best, even if it is simply and a little bright :). Thank you for it - great work ! oh this looks so great! I love the colors and everything! Great job once again! *_* sooooo pretty...... great job! he looks better with this colour and background! ???????? ??????! ??? ???????????.... ? ?????? ????? ????? 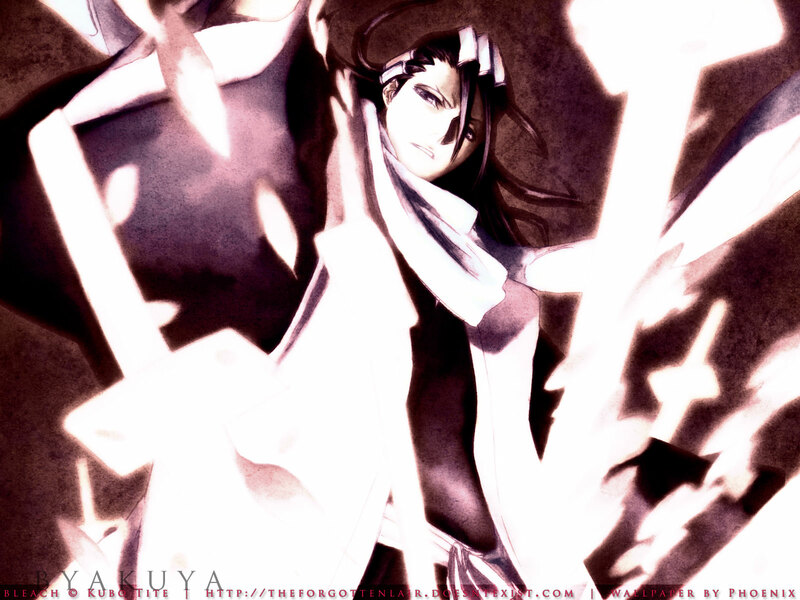 freakin awesome pic of byakuya! wow amazing job! you're right--the concept isn't too complex but in a sense, that's a good thing! puts more emphasis on Byakuya and his badass-ness ;D thanks for this!